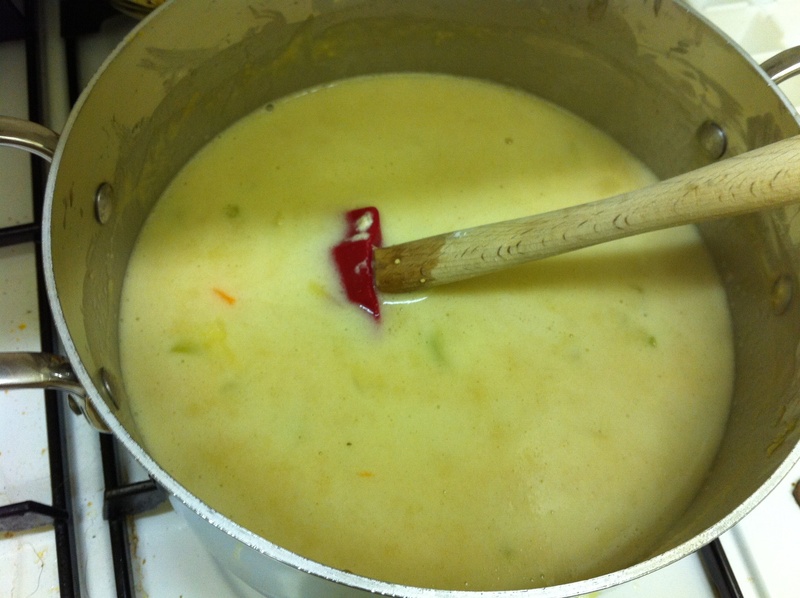 Following on from my previous post about the Beer and Cheese soup, here is a pictorial guide to my efforts this afternoon. I changed a couple of things compared to the original recipe, as this was proving to be very sweet, so I had to find ways to cut through it, and jingle with the ingredients. 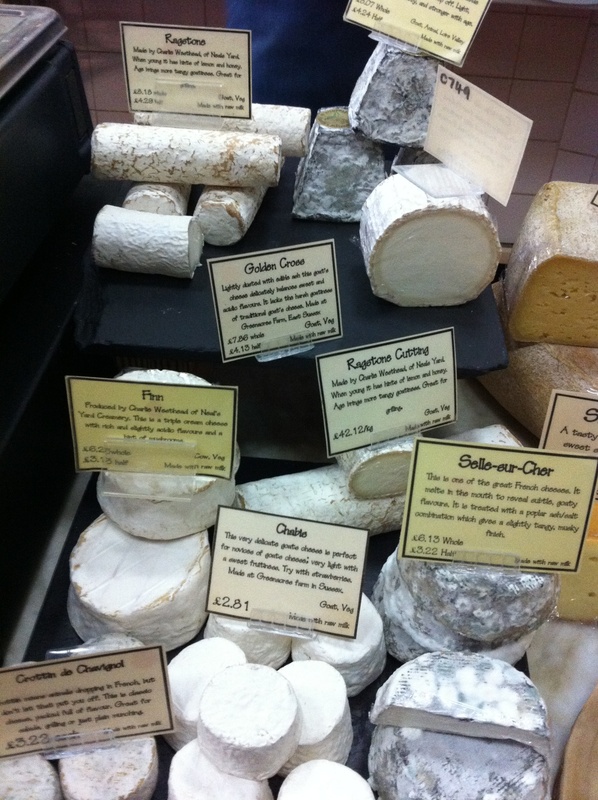 I am quite lucky really to have a great Cheesemonger, Ian Mellis, at the end of my street. They have a wide variety of Cheeses to choose from, highlighting the best you can get in the UK, and I spent an age tasting them. I plumped for the Golden Cross in the end, as it has a good richness to it, but was not too sweet. 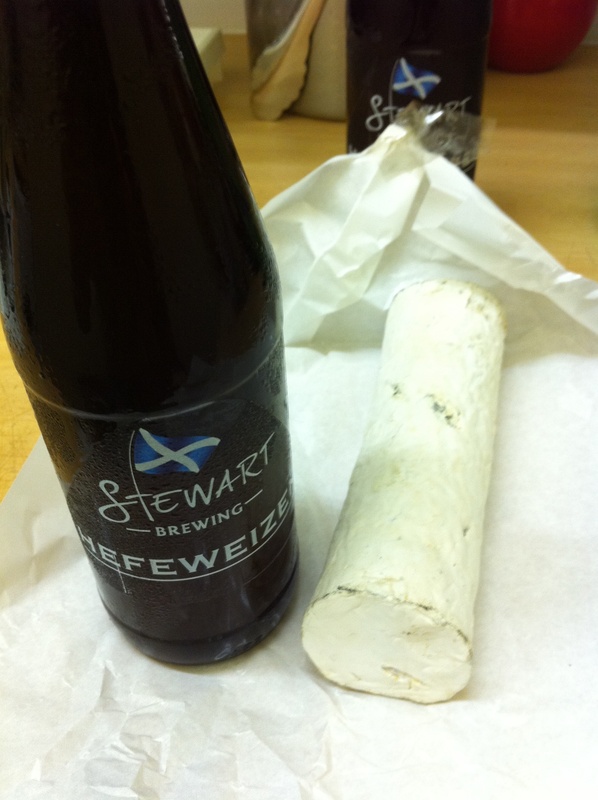 As I have mentioned in the original post I was going to make it with Stewart Brewing’s new version of the Hefewiezen. First time I sampled it in bottle, and the carbonation really cuts down the banana flavour. It works a lot better in the bottle, and will be something that I have to search out a bit more. 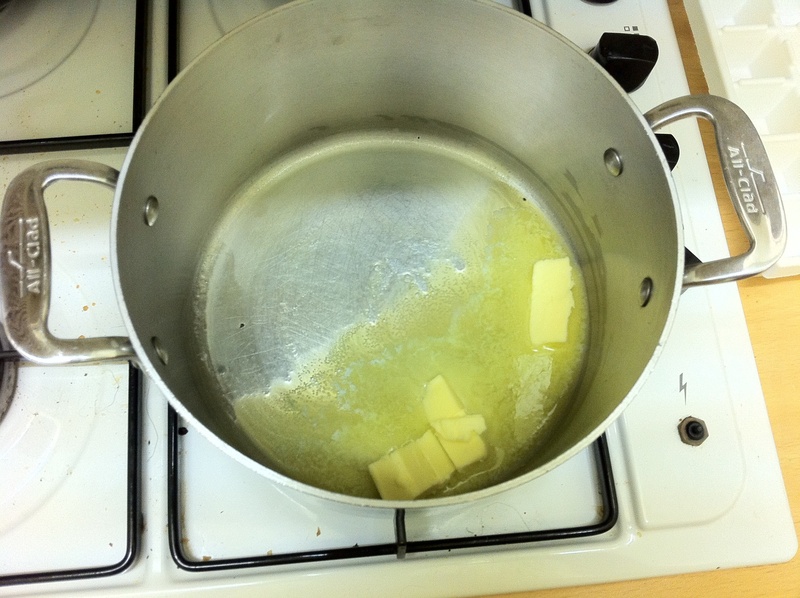 I decided to cut down the amount of flour and milk in the recipe as well, as I did not want to use as much cheese as if it was a hard cheese. 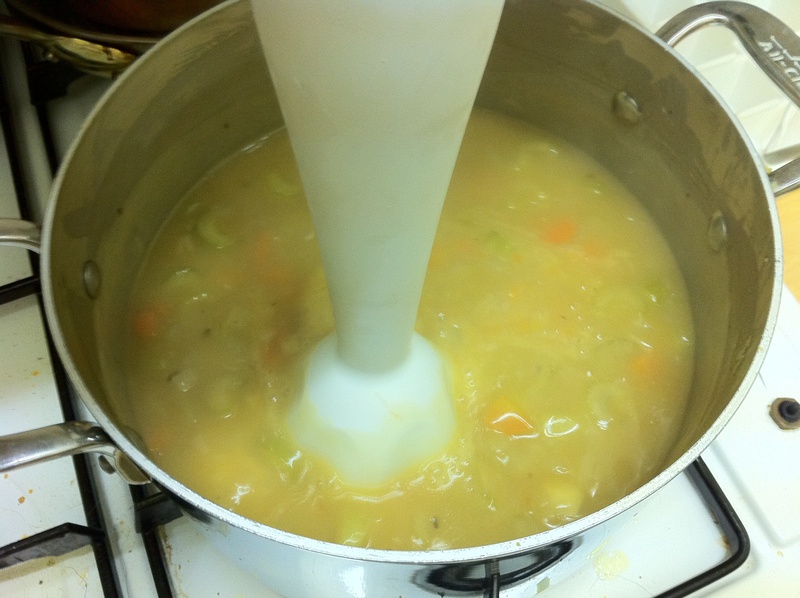 The soup would tend to be a bit floury otherwise. 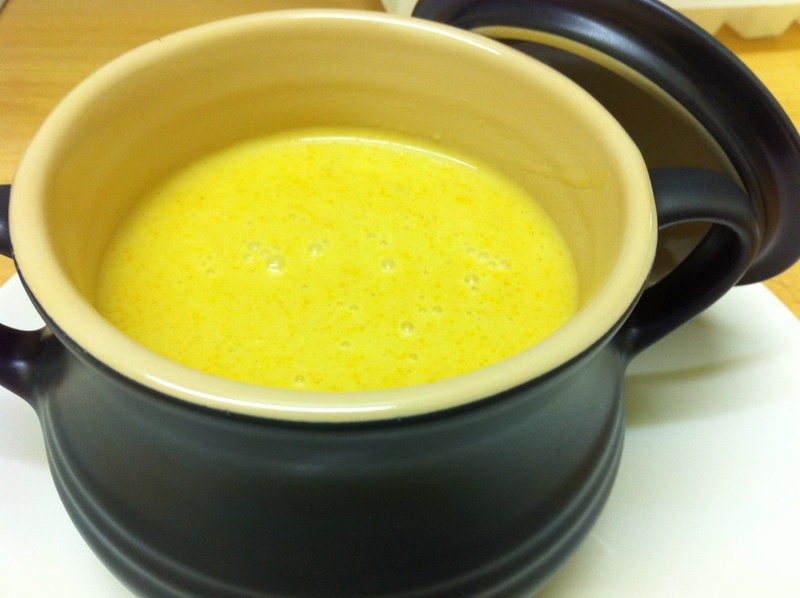 I also decided to add a bit more mustard too (a further half tbs), and to season it at the very end, which helped cut down the sweetness significantly, and balance it a lot more. 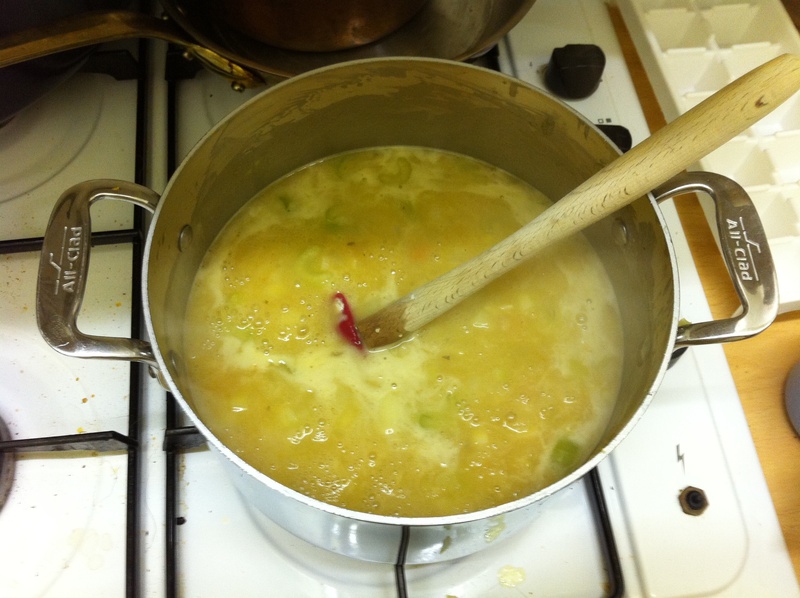 The key was to cook the soup relatively slowly which prevented it from spoiling. I also added the ingredients gradually to ensure they did not overpower each other – this was particularly important when adding the goats cheese. 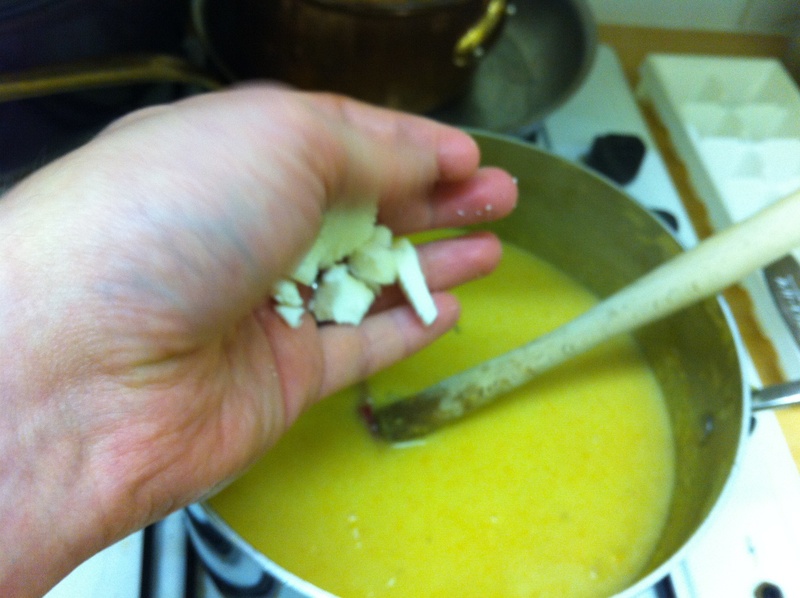 In order for this to avoid lumps too from the Goats Cheese I removed the wax, and grated it, breaking down the texture. 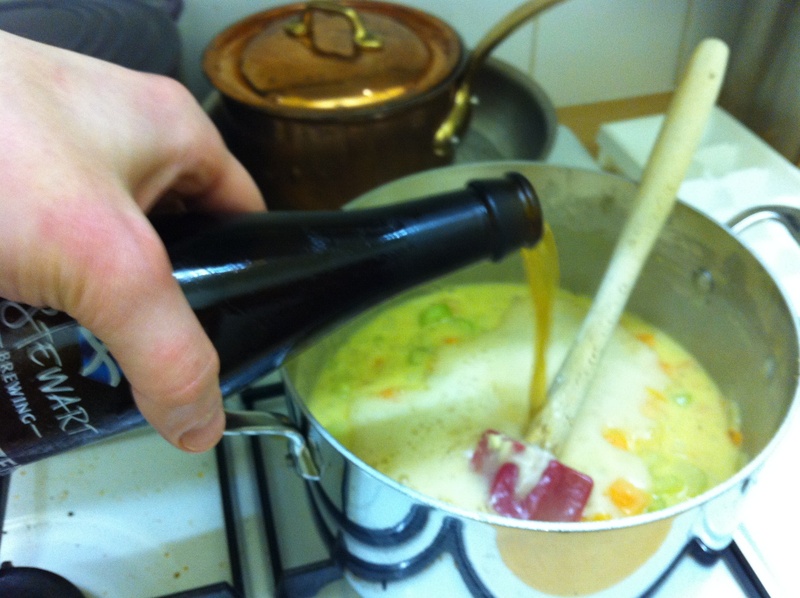 This turned out to be a very warming soup, the flavours of the beer and cheese worked well together, without being too sweet. My wife had a number of reservations that this would not work – Thankfully I managed to proved her wrong!